What Autism Home Care Assistance Do You Need? Are you looking for information about autism home care assistance? Do you want to know more about what may be available to help you live with this condition? One of the first steps is to find the right autism home care assistance provider for you. A lot of this will rely on what your specific needs are and whether the service can provide the type of support you need. 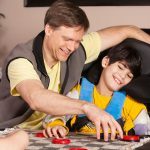 Generally you will want to choose an autism home care assistance service provider that understands your unique situation and can meet your needs. Your autism home care assistance provider will need to have the required experience and capability to best support your specific needs. 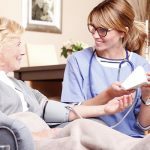 Every person and situation is unique, which is why you will need a home care assistance provider that understands this. Your plan should provide the care and support you need both now and in the future. 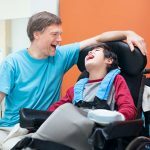 While your autism home care assistance will depend on your specific situation, the typical support a service provider should be able to help with include difficulties with communicating, issues with speaking and eating, pain management (if relevant), as well as symptoms related to other conditions. At Beacon Support we are focused on delivering autism home care assistance you can trust. We are committed to making sure you feel supported through quality autism home care assistance and understanding. We will approach everything we do professionally and with empathy. Your autism home care assistance will also be delivered under the supervision of a Registered Nurse so you receive quality care. We are also a registered NDIS provider.